Pollution Prevention – No Job is Too Tough! Long Painting Company is kicking the month of October off with a challenging project which will assist in pollution prevention in the Pacific Northwest. This is a job not many others could take on, but we are up for the challenge. This project requires a lot of knowledge, skill and external communication. Before the project started, the team was required to do extensive on-site safety training to include how to work safely around cell towers. 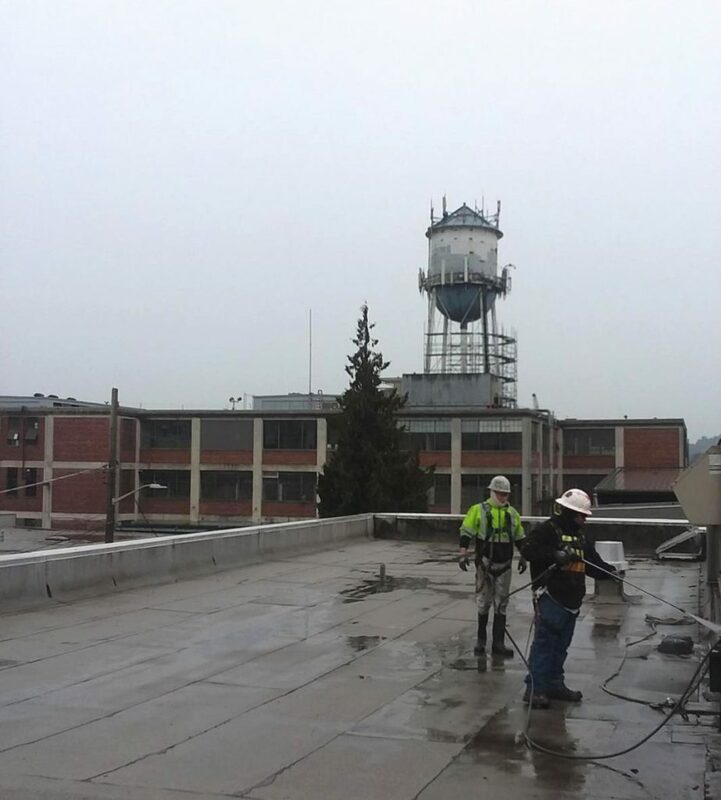 The project consists of applying special primer/coatings to a water tower consisting of a galvanized metal surface, and two rooftops. Coating galvanized metal has proven to significantly reduce the amount of zinc in storm water runoff. To learn more about zinc water runoff click here. Contact us to discuss your project… (800) 678-5664. « LPC SHOP WORK IS BOOMING!